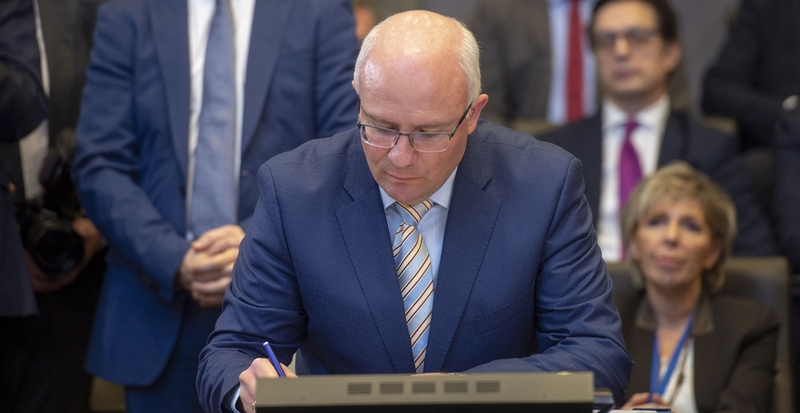 The Permanent Representatives to Nato of the 29 members of the Alliance signed the accession protocol for the future Republic of North Macedonia at a ceremony at Nato headquarters in Brussels on February 6 2019, Nato said in a statement. 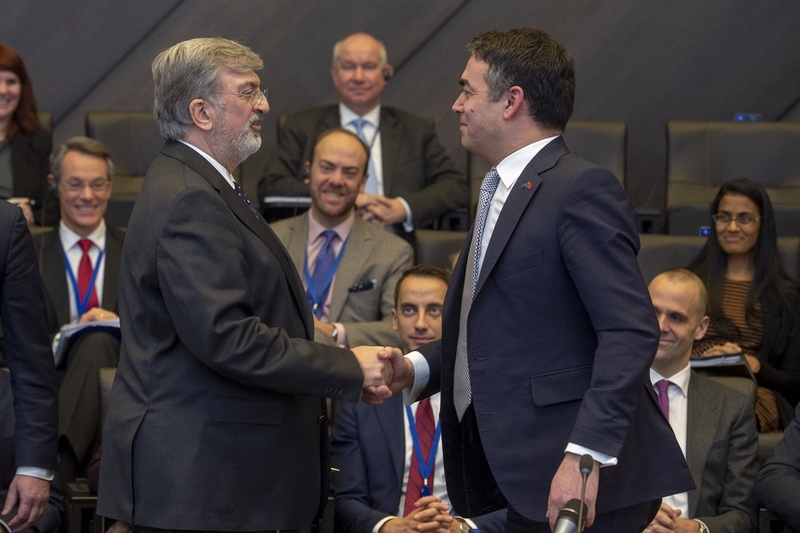 The signing ceremony took place in the presence of Foreign Minister Nikola Dimitrov. Following the signing of the accession protocol, Skopje can now take part in Nato activities as an invitee, the statement said. The accession process now moves to the capitals of the 29 Allies where the protocol will be ratified according to national procedures. The country will become a member of Nato as soon as all Allies have ratified the accession protocol. Speaking following the signing ceremony, Nato Secretary General Jens Stoltenberg said, “Nato keeps almost one billion citizens across Europe and North America secure and with you joining Nato there will be 30 countries committed to protect each other. “Your accession will bring more stability to the Western Balkans. This is good for the region and for Euro-Atlantic security, ” Stoltenberg said. Stoltenberg congratulated both Skopje and Athens for showing commitment and courage in reaching an agreement on the name issue. Skopje already makes important contributions to Nato’s training mission in Afghanistan and the Alliance’s KFOR peace keeping mission in Kosovo, the Nato statement said. The Independent Balkan News Agency (IBNA) reported that on February 5, the government in Skopje approved a decision to open an embassy in Athens and a consulate-general in Thessaloniki. IBNA quoted Dimitrov as saying: “By being a full Nato member, Macedonia will become a more stable and safer country. The ratification of the accession protocol by the Greek parliament is a done deal. “This is a historical event. We are writing history, because we have created a better future in a region full of conflicts,” Dimitrov said.